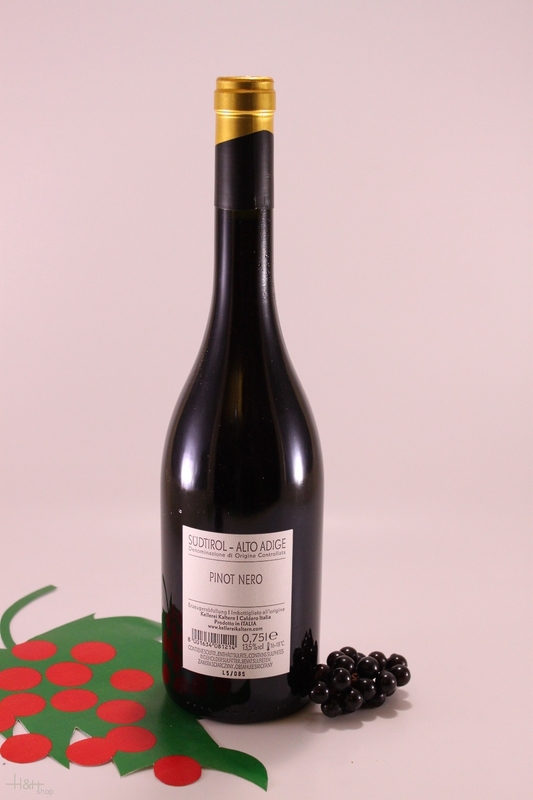 Characteristic: This Pinot noir, which has an outstanding quality potential, is created wholly sound, fully ripe grapes. A low yield is definitely a further measure of quality and hallmark for the wines our cellar. After a gentle fermentation on the skins, we age the wines in 500 liter oak casks. An intense cherry red, aromas of orchard fruit and wild berries, cranberries in particular, and well integrated notes of oak unify in this wine of well-balanced structure, soft tannins and a velvety finish. Recommendation: This wine is an ideal partner to heavier meat dishes, game and piquant hard cheeses. "Falstaff Magazin" has rated the wine "Kellerei Kaltern Saltner Blauburgunder - Pinot Nero Sudtiroler, Trentino-Alto Adige, Italy" the vintage 2014 on 06.07.2016 with 87 of 100 points. 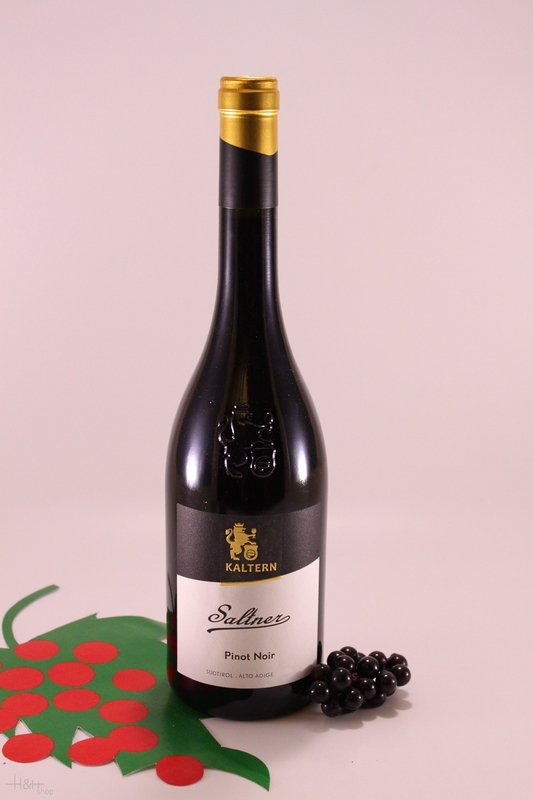 "Wine Enthusiast" has rated the wine "Kellerei Kaltern Saltner Blauburgunder - Pinot Nero Sudtiroler, Trentino-Alto Adige, Italy" the vintage 2012 on 06.01.2015 with 88 of 100 points. "Wine & Spirits Magazine" has rated the wine "Kellerei Kaltern Saltner Blauburgunder - Pinot Nero Sudtiroler, Trentino-Alto Adige, Italy" the vintage 2010 on 01.08.2012 with 85 of 100 points. "Wine Enthusiast" has rated the wine "Kellerei Kaltern Saltner Blauburgunder - Pinot Nero Sudtiroler, Trentino-Alto Adige, Italy" the vintage 2009 on 07.01.2012 with 90 of 100 points. "Falstaff Magazin" has rated the wine "Kellerei Kaltern Saltner Blauburgunder - Pinot Nero Sudtiroler, Trentino-Alto Adige, Italy" the vintage 2009 on 13.07.2011 with 88 of 100 points. "Wine & Spirits Magazine" has rated the wine "Kellerei Kaltern Saltner Blauburgunder - Pinot Nero Sudtiroler, Trentino-Alto Adige, Italy" the vintage 2004 on 01.08.2007 with 85 of 100 points. "Wine Spectator" has rated the wine "Kellerei Kaltern Saltner Blauburgunder - Pinot Nero Sudtiroler, Trentino-Alto Adige, Italy" the vintage 2004 on 30.06.2007 with 88 of 100 points. "Vinum Wine Magazine" has rated the wine "Kellerei Kaltern Saltner Blauburgunder - Pinot Nero Sudtiroler, Trentino-Alto Adige, Italy" the vintage 2002 on 01.02.2005 with 15 of 20 points. "Vinum Wine Magazine" has rated the wine "Kellerei Kaltern Saltner Blauburgunder - Pinot Nero Sudtiroler, Trentino-Alto Adige, Italy" the vintage 2000 on 01.01.2002 with 15 of 20 points. Pinot Blanc Platt & Riegl - 2017 - Winery Girlan 14,05 EUR / 18,73 €/lt. Lagrein South Tyrol HB 0,375 lt. - 2017 - Winery Termeno 7,75 EUR / 20,67 €/lt.